Ava Med is a sponsor in the August 2013 5th Annual Kansas City HRS. Topics will include: new diagnosis and treatment guidelines in A-Fib and ablation techniques. Ava Med is a sponsor in the August 2013 5th Annual Kansas City HRS. Topics will include: new diagnosis andtreatment guidelines in A-Fib and ablation techniques. Avamed provides cardiac holter monitors which are lightweight and portable. The services which can increase the convenience of patience. 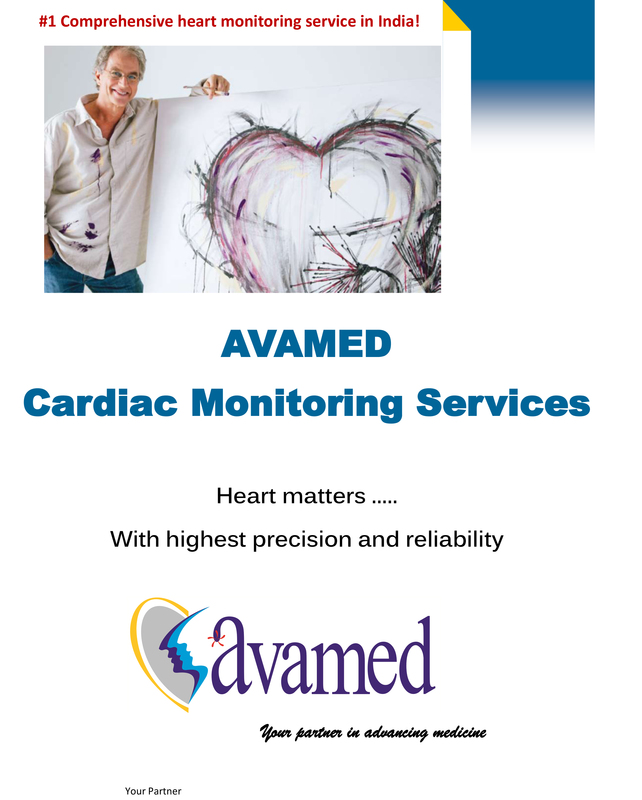 Avamed provides specialized cardiac diagnostic services for the monitoring for the Atrial Fibrillation patients. Our staff will help physicians to select the best device for their practice. Our service provides specialized programs targeting on atrial fibrillation. An arrhythmia is a problem with the speed or rhythm of the heartbeat. Atrial fibrillation is the most common type of arrythmia. The cause is a disorder in the heart's electrical system. The Atrial Fibrillation monitoring helps physicians to collect more data which enables the treatment of their patients. A Holter monitor is a machine that continuously records the heart's rhythms. The monitor is usually worn for 24 - 48 hours during normal activity. An ambulatory electrocardiogram records the electrical activity of your heart while you do your usual activities. Ambulatory monitors are referred to by several names, including ambulatory electrocardiogram, ambulatory EKG, Holter monitoring, 24-hour EKG, or cardiac event monitoring. The holter monitor can continuously record and save the heart rhythm. Patients who report symptoms that may be related to abnormal or irregular heart rhythms. They often do not experience the symptoms during a routine ECG which will lasts for only about 30 seconds. Holter monitoring, however, enables the physician to view and analyze a significantly longer ECG recording. By examining this recording, the physician will be able to determine if your symptoms and heart activity are related. An important aspect of Holter monitoring is keeping a detailed diary that notes exact symptoms, time of symptoms and what your activity was during the symptoms. Event monitors are slightly smaller than Holter monitors. When we feel the symptoms of an arrhythmia, then we can record and save in the event monitor by pushing the record button on your monitor to start recording. Most of the event monitors can carry in a pocket. Some event monitors we need to start the device when we feel symptoms whereas some are automatic. Looping Monitor is the device which is used to record your heart’s rhythm. It is worn for fourteen days while you move on your daily activities. . Two electrodes are worn on your chest and wires attach the electrodes to the monitor. Whenever you feel cardiac symptoms such as irregular heart beat, you can press the record button so that the monitor will records and stores the cardiac event. The monitor can stores upto 6 events. The recordings from the heart monitor can then be transmitted by phone to our monitoring centre. When once transmitted, the data will be erased and the process can begin again. Non-Looping Monitors are suitable for patients with sustained symptoms of over 60 seconds. These monitors do not require lead wires which can work with electrodes. You can use the monitor when you feel the symptoms. Put the back of the micro ER event recorder on your chest and make sure all four electrodes are touching the skin and press the record button to make a recording and you c an transmit data through phone.